Last week in Jetsetter – Digital Trends weekly column exploring the vast, satisfying world of import gaming and game creation outside the United States – we talked about regional console love. Everyone has roughly the same smartphones and PCs to choose from, but you can still find steadfast devotion to particular, and sometimes outdated gaming machines around the world. Sony may not be making PlayStation 2 boxes anymore, but you can still find them readily in stock in India. Brazil had a robust Sega Genesis development community all the way up to 2008. The world is large and strange, and people love consoles to be as diverse as their cuisine. This week in Jetsetter, we look back at Gamescom, the German gaming conference that has slowly become an industry tent pole event as vital as E3. It has in many ways replaced the faded Tokyo Game Show as the premiere gaming event to blend industry and fan engagement. If you followed Gamescom closely, you might have thought that console adoption around the world is more homogenous than ever. Heavyweights like Ubisoft, after all, publish the same PlayStation 4 games in France and India that they do in the US. The careful observer, however, may have noticed that instead of the current console trend, the legacy of older models occasionally shined through. Especially in Sony’s presentation. 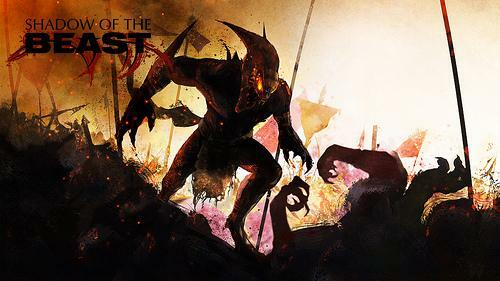 The PlayStation 4 keeps its British roots alive with a Shadow of the Beast remake. Reflections Interactive isn’t a household studio name anymore (if it ever was), but chances are you’ve played their games. The British studio is now known as Ubisoft Reflections, and they’ve worked on everything from Just Dance to the upcoming Watch Dogs. They are best known for the Driver series, but those wild driving sims wasn’t their first offering. Reflections Interactive made its mark on the world with Shadow of the Beast, a janky but memorably surreal action game for the Commodore Amiga. It was a deeply British game made for a deeply British machine back in 1989, and its following never expanded much beyond Europe. 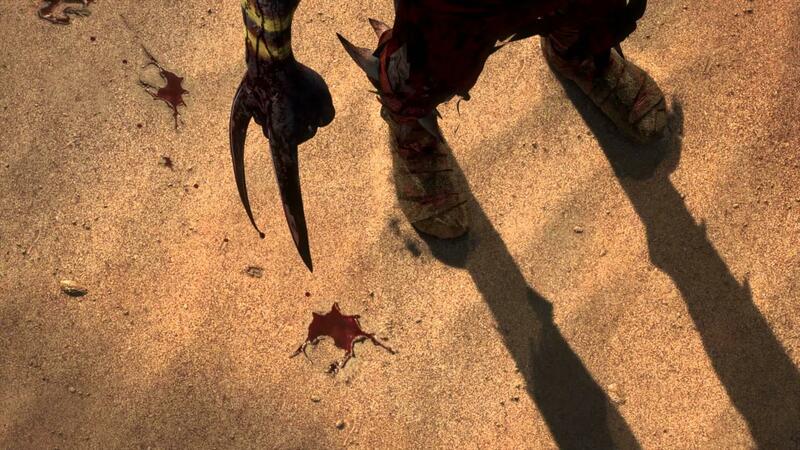 That’s likely why Sony saved the PlayStation 4 rebirth of Shadow of the Beast for its Gamescom conference rather than for E3. All it showed was a flashy trailer that – while gory in a deeply modern way – still maintained the peculiar creature design of the original. Also maintaining the game’s British roots is the developer of the new entry, Heavy Spectrum Entertainment, who has published just a pair of mobile titles to date. Sony’s always invested heavily in UK development, from the storied work of Sony Liverpool (Wipeout) to the old Psygnosis (Colony Wars) and Sony Cambridge (Primal). That’s in addition to modern crews like Media Molecule. The PS4 may have been designed by American and Japanese engineers, but it’s got the soul of en’ Englishman. Also covered in last week’s Jetsetter was Sony’s surprise PS Vita price drop in Hong Kong. The company started selling a bundle that included the handheld, Modnation Racers, and a bunch of accessories for approximately $165, a 34-percent cut from the launch price of the standalone machine. That was the second price cut the Vita had seen around the world this year following its drop to approximately $214 in Japan. Turns out the Hong Kong deal was just a prelude to Sony’s Gamescom announcement of a huge PS Vita price cut in the US and across Europe. 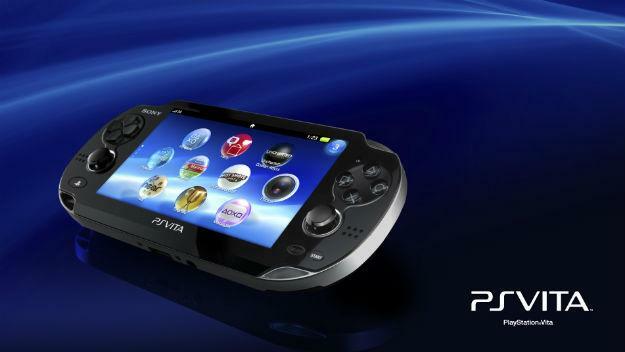 Unfortunately for Europe, though, the PS Vita remains a pricey proposition. The device dropped to $199 in the US but only to €199 in Europe. That’s approximately $266, more expensive even than the US launch price. It’s sometimes easy to forget that as expensive a hobby as gaming is in the US, it is also cheaper to be a gamer in America than many other places around the globe. Ovosonico gets weird on PS Vita with Murasaki Baby. One last exciting international announcement for Gamescom: Sony announced Murasaki Baby for the PS Vita. The game looks like a spooky blend of the Japanese-made Dokuro and Tim Burton’s Melancholy Tales of Oyster Boy storybook. It comes from a very different place, though, namely Italy. Murasaki Baby is the brainchild of Milan-based studio Ovosonico and director Massimo Guarini. Massimo has a history of making surreal games. He was the director of Grasshopper Manufacture and EA’s fun but flawed collaboration Shadows of the Damned. Shadows‘ interesting world was brought low by boring shoot-outs. Murasaki Baby, meanwhile, focuses on holding hands. That’s a pretty big shift in focus.